Levin Riding for the Disabled Group ponies Kahlua (RDA Horse of the Year 2014) and Harley, are looking for good retirement where each can be appreciated for the long and excellent service they have given to the community. Both are nearing the age of 30 and while still capable of being ridden and used in our riding therapy programme, they have done their stint and need to let the younger horses take over. Both are 14.2 hands and are in good nick. They have always been cared for in accordance with the high standards of Riding for the Disabled Association. Such care includes 6 weekly hoof trimming by professional farrier; regular drenching; yearly teeth check-up; and close attention to maintaining them in excellent condition. Due to their increasing age, both have undergone recent Vet checks and found to be in good condition for their age with no major concerns. They are handled regularly by RDA volunteers and have no vices of any concern. 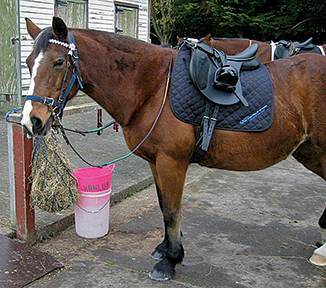 They are regularly ridden in either pad or saddle either in hand or under control of the rider. Either would make a good child’s first pony, but due to their age would not be able to be ridden hard nor with a heavy rider and no jumping. While Kahlua was floated recently, Harley hasn’t been off our premises for some years. 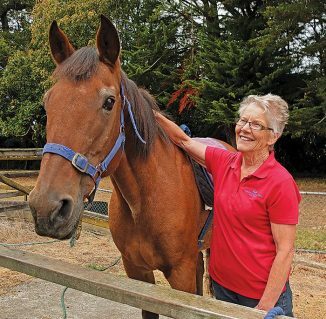 While interested parties will want to view these ponies before making a decision on providing a retirement home, Levin RDA will likewise want to vet potential new owners to ensure our veterans will get the best care possible after leaving RDA.